With the world digitizing paper and going virtual, remote scanning has remained business-critical in a number of organizations regardless of their vertical, be it Healthcare, Education, Manufacturing, Public Sector, or Government. This is a big reason that Fabulatech and Citrix have joined hands to bring you a secure Scanner for Remote Desktop solution in your Citrix environments. I am pleased to share that Fabulatech’s Scanner for Remote Desktop is now Citrix Ready with the latest versions of Citrix XenDesktop and XenApp. 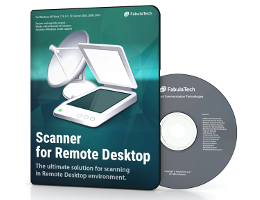 Fabulatech’s Scanner for Remote Desktop is a software that provides a convenient way to scan within your remote desktop session. The application allows redirecting scanners over Citrix ICA protocols to your individual remote session without any headache. The software is easy to install and simple to handle. The application comprises of the Workstation and Server parts. The Workstation part should be installed on your local computer and the Server part goes to the remote side where you login. As soon as both parts are installed, Scanner for Remote Desktop creates a virtual remote scanner on the server side and the system accepts it as a hardware equipment plugged into the remote computer. Now every time you login to your session you will have no problem accessing your locally plugged scanner by any remote document scanning software. Supportability: Don’t worry, your image scanning application will see your scanner! Scanner for Remote Desktop works perfectly with all brands of scanners and supports full-fledged TWAIN and WIA redirection. So, it is the best solution even for applications that support only WIA. And, there is no need to buy any particular type or to adapt to available device. The program supports all TWAIN and WIA compatible scanners, regardless of what interface they use including USB, LPT, COM. 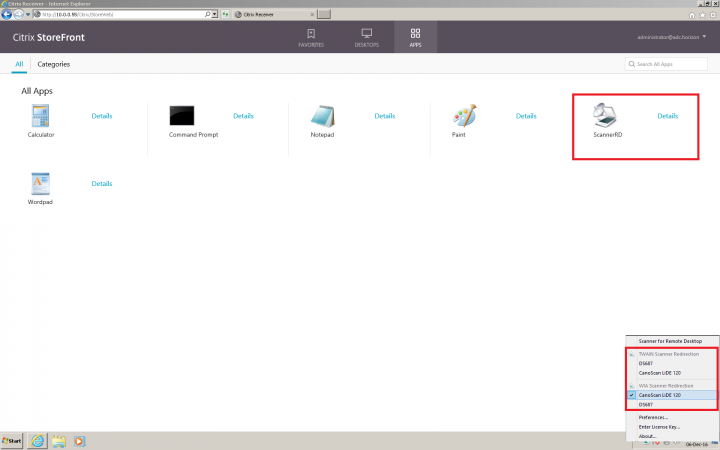 Flexibility: Scanner for Remote Desktop works perfectly in Terminal Servers or in any single-user system. It provides you with an extensively flexible solution for easy and comfortable work in almost any environment, even virtual. Security: Scanner for Remote Desktop takes care of your confidential information safety. If you work in a multi-user environment and there is more than one user logged in, your local scanner will be isolated from other users within its individual remote session. No one but you can scan from it or even see it in the system. Usability: Scanner for Remote Desktop is easy to use and it doesn’t require any scanner specific drivers. In addition, there is no need to install it on the remote side every time you plug in a new scanner which requires administrative rights. This saves a lot of headache for your system administrator. IT Admin friendly: Scanner for Remote Desktop doesn’t require any configuring. It is and extremely intuitive software and very easy to work with. Just install the program and enjoy your work with Scanner for Remote Desktop. Fabulatech continues to partner with us and keep their product up to date with Citrix’s latest XenDesktop and XenApp releases. Currently this product is verified on 7.11. You can request information or ask demo here to find out more from them.